Here’s a new Easy Recipe. This time it is on brandy. Brandy is easy to make and will give you a great tasting product in no time. Easy to make? For sure! The wine maker already did the fermentation process for you! But there’s more, so let’s dive in deeper. The word “brandy” actually comes from the Dutch word “Brandewijn”, where “wijn” means “wine”, and “Branden” means so much as “distilling”. So … is brandy originally distilled Dutch wine? No, it is not. Why? Simple, we don’t grow wine in the Netherlands. The climate is too cold. The wine in “brandywine” comes from France. From the Cognac region to be more precise. Dutch 16th and 17th century traders took the wine to the Netherlands by ship and distilled it. Or actually, they distilled part of it. The Netherlands, of old, are a beer producing and drinking country. But when the Dutch started to sail around the world, they soon found out that beer does not stay fresh long enough. Okay, it was more healthy than our (low land) water, but would spoil in weeks. Wine was better, but would still spoil after a few months. And that’s where brandy comes into play! Brandy was nothing more (or nothing less) than a technology invented to give sailors, that had to survive for months on a ship without fresh water, something to drink. Brandy, of old, was wine mixed with distilled wine. The distilled wine was used to up the ABV to around 20%. The much higher ABV of the original brandy, 18 – 20% as opposed to 9% for 16th and 17th century wines without fortification, would prevent the “brandywine” from spoiling. It could be kept for a long period of time and would keep the sailors from being totally dehydrated. The origins of brandy, as a combination of wine and distilled wine, are still reflected in EU regulations on brandy today. Any EU brandy can still contain up to 20% of wine. I find that in interesting note, because it gives the Craft Distiller an increadible tool to play with, when making brandy. More on that later. Okay, so after shipping large amounts of wine to the Low Countries, for distillation, one smart guy, who’s name was unfortunately forgotten by history, decided it was much easier to distill the wine in the Cognac region, where the wine was made. That limited transport costs and made the Cognac region the world’s center of brandy and, later on, Cognac. 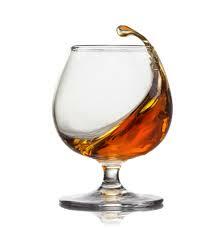 A Cognac brandy is a brandy from the Cognac region. Made from grapes from Cognac and distilled in Cognac. Contrairy to (the original) brandy, Cognac is also aged in barrels. Actually Cognac was the first spirit to be aged in a barrel. The great benefits of aging brandy in oaken barrels were soon picked up by the new whisk(e)y industries in both Ireland and Scotland. Here’s how Cognac was invented. The Dutch didn’t visit the Cognac region for some time, due to a two year war. When they came back, the distilled wine used in “brandywine”, had been stored in barrels. When the people who wanted to see if the distilled wine was still any good … they actually found out, much to their surprise, that it had improved instead of deteriorated in taste! What to do … and what not to do! If you want to dilute your brandy with wine, use a characterful wine like for example a Chardonay to give your drink a special touch. Manually dial the iStill 250 back to 6 KW, during the actual run, and slowly collect Hearts. Barrel age the distilled Hearts for up to 3 years on Medium Toast, then dilute to 45% using either water or wine, and give it another 5 weeks to settle. This will give you a more complex, Cognac style brandy that you can sell at a higher price.